Increased intracranial pressure is almost always indicative of severe medical problems. The pressure itself can be responsible for further damage to the central nervous system by decreasing blood flow to the brain or by causing the brain to herniate (push through) the opening in the back of the skull where the spinal cord is attached. 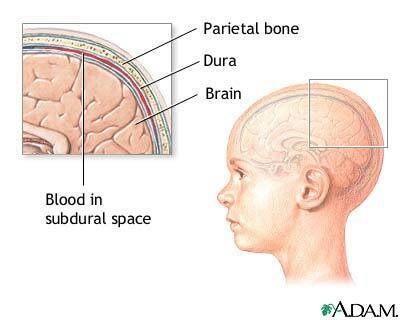 Causes of increased intracranial presure may include bleeding into the subdural space (subdural hematoma).